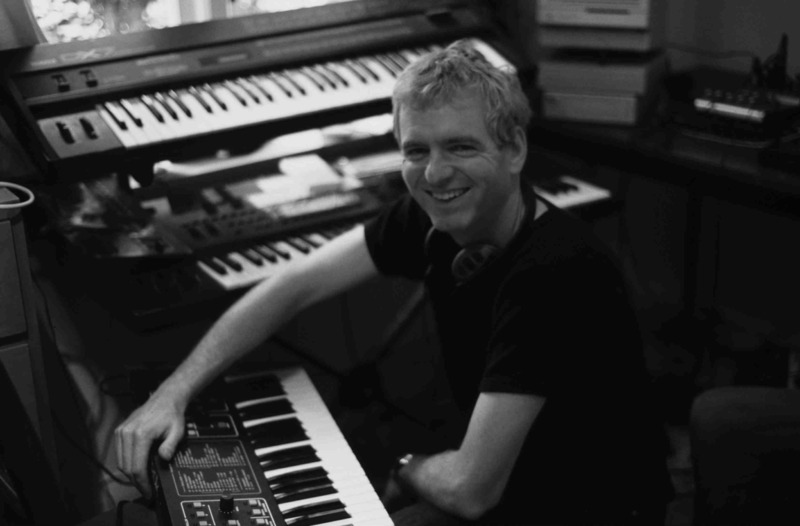 New Zealand musician Rudy Adrian has been creating electronic music since the late 1980's. He specialises in two styles: Atmospheric Works (think floating music evocative of landscapes) and Sequencer Sketches (using arpeggios and sequences to create gentle electronic rhythms overlaid with lead synths). Since 1990 he has created 13 albums, most of which were pressed as CD, with six released by Groove Unlimited. "Ron and Kees of Groove gave me my first real chance", Rudy says, "They were prepared to take a chance and release one of my early albums with the intent that I would grow as an artist and that they would release other music i made in the future". So far the releases with Groove have included four in the Sequencer Sketches series, plus an atmospheric collaboration with Ron Boots as well as a document of his live tour of the USA in 2002. "The music on 'Concerts In The USA' is all original music and improvised on the spot, but of course constrained in style by the video projection I had made to accompany me. Whenever anyone asks me 'Are you going to do another tour? ', I refer people to it. Sure, if the airtickets come down in price, I might consider it!". Rudy's Atmospheric Works have been released by a number of labels, including Naxos, but the last three have been released by Lotuspike / Spotted Peccary in the USA. "They're nice guys and the relationship they have Groove is a good one. The Atmospheric Works that I make suits their label well". 'Par Avion' was Rudy's most recent Groove release. It is divided into two halves - 40 minutes of Sequencer Sketches and 40 minutes of a style Rudy called 'Deep Space'. "It's the kind of music you might expect to hear in a space movie - it's great to listen to while lying on the lounge floor with the lights out", Rudy says. Since then Rudy released an 80-minute album of Deep Space music with Lotuspike / Spotted Peccary entitled "Distant Stars". "I think that just about brings my Deep Space explorations to and end!" Rudy laughs. Rudy has always been a minimalist with equipment - the computer he uses is a 1-megabyte Mac Plus from 1986. On this computer Rudy inputs all the data required to play the synthesizers in his studio, so that eventually at the press of the Play button, the finished piece is played into a stereo recorder for mastering to album. "I used to have two main synthesizers; the Yamaha SY77 (1990) and the Kurzweil K2000 (1993). Nowadays it's just the SY77 for me - it can play 16 different types of sounds at the same time and also is great live" (it was the sole synthesizer used on 'Concerts in New Zealand" and 'Concerts in the USA'). However, for his next project, Rudy is going further back to his roots, recalling the days as an impoverished student in the 1980s. "Synthesizers were so expensive then! But I have now collected a representation of an almost affordable studio circa 1986 - an Apple Mac Plus, Roland Alpha Juno, Sequential Circuits Six-Trak and Korg Poly-800. The objective is to create music as if I was living in that period of time. The software, which I still use, is Mark Of The Unicorn Performer 2.31+. I had purchased version 1, but the software importer stole my upgrade to version 2. Fortunately a really nice guy named Murray Wood was able to give me a free copy. He was a big fan of synthesizer music and went on to become a millionaire businessman but sadly died in a collapsed building during the Christchurch earthquake in February 2011. This album will be a tribute to his generous spirit". "Analog Nostalgia" is a work in progress. "Farewell to Florida" is a test track for this project created using the Six-trak analog synthesizer.